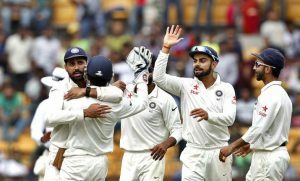 India leads the Test team rankings and they are likely to maintain their rank if they win against England in the upcoming Test series. On the other hand, Pakistan had a chance to improve their rankings but they missed it when they lost the 2nd test to England. After Smith’s 1-year ban from cricket the number one test ranking is up there for grabs and it is none other than Virat Kohli who can attain this rank if he performs well in the upcoming England tour. On the other hand, Azhar Ali had a chance to improve his rank but his lean patch at the recent England series dipped his rank to 15th place in the Men’s Test cricket rankings. 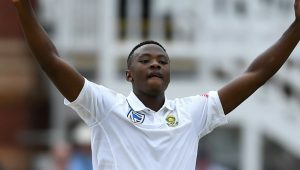 Kagiso Rabada’s performances against Australia allows him to the be the top test bowler followed by James Anderson and Vernon Philander who are placed 2nd and 3rd respectively. 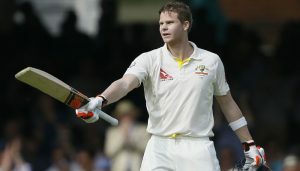 Three shuffles were seen in the Men’s Test Team rankings. The first one was of Stuart Broad who placed himself at the 12th position after winning the 2nd test for England against Pakistan. Meanwhile, Mitchell Starc and Tim Southee slipped down in the rankings and are now placed 13th and 14th respectively. Shakib Al Hasan leads the Men’s Test All-rounders cricket rankings followed by Ravindra Jadeja and Philander who are placed 2nd and erd respectively. The only shuffle in the Test rankings thus far is of Chris Woakes as his recent performances against Pakistan has allowed him to take the 12th position in the Test All-Rounders cricket rankings. 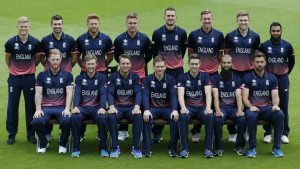 England team ranks number one in the ODI rankings followed closely by India and South Africa who are place 2nd and 3rd respectively. 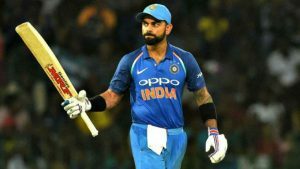 Unsurprisingly, it is Virat Kohli who leads the ODI Men’s Test Rankings by a huge margin followed by AB de Villiers and David Warner who are placed 2nd and 3rd respectively. Pakistan’s Babar Azam is placed 5th in the Men’s ODI cricket rankings and he has the chance to perform in the upcoming series and upgrade his rank further. 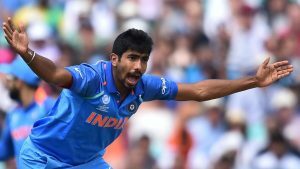 India’s pacer Jasprit Bumrah sheer accuracy has made him the top ranked bowler in Men’s ODI cricket rankings. He is followed by none other than Rashid Khan and Josh Hazelwood who are placed 2nd and 3rd respectively. Shakib Al Hasan tops the ODI men’s all-rounder cricket rankings followed by Muhammad Hafeez whose cleared bowling action will allow him to top the rankings once more. Pakistan are undisputed champions of T20 and their recent win against West Indies ensured that they remain at the top of the T20 Men’s cricket rankings. Moreover, it is a chance for Afghanistan to seal their series against West Indies and retain their number 8 rank in the T20 Men’s cricket rankings. The prolific young opener Babar Azam tops the T20 men’s cricket rankings followed by New Zealand’s Colin Munro and Glenn Maxwell who are placed 2nd and 3rd respectively. 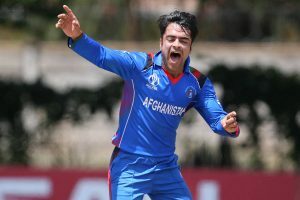 Rashid Khan is the top T20 bowler in the Men’s bowling cricket rankings and he will continue to retain his position. As, the young Afghan ‘s performance has been sensational in the ongoing T20 series against Bangladesh. 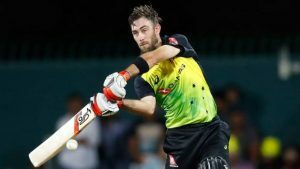 Glenn Maxwell tops the Men’s T20 all-rounder cricket rankings followed by Mohammad Nabi who might retain his rank as he performance in the ongoing series against Bangladesh has bee phenomenal. 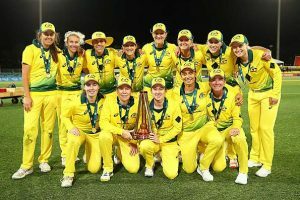 Australia tops the overall team rankings followed by England and New Zealand who are ranked 2nd and 3rd respectively. 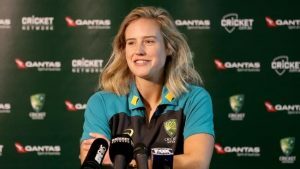 Elyse Perry of Australia has been on top of ODI Women’s Batting cricket rankings for quite some time now. The Australian tops the ranking with 744 points followed by New Zealand’s Suzie Bates and Australia’s Meg Lanning who are placed 2nd and 3rd respectively. Australian bowlers Jess and Megan dominate the ODI Women’s bowling cricket rankings with 676 and 667 points each. Shibnam Ismail of South Africa left Stefanie Taylor behind and is now ranked 6th in the rankings. 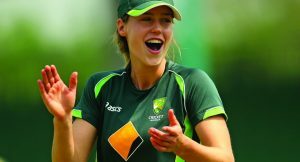 Elyse Perry is unmoved from her position of being the top-ranked Women’s all-rounder in ODI cricket rankings. She is followed by West Indies Stefanie Taylor and South African Dane Van Niekerk who are placed 2nd and 3rd respectively. 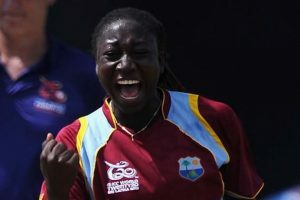 The powerful West Indian Stefanie Taylor tops the Women’s T20 ranking as she continues to improve her sparkling form in this format. No shuffles in rankings were seen in this format of the game. 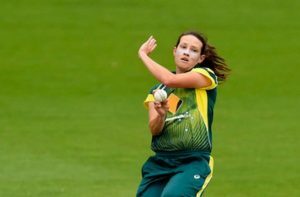 Megan Schutt has always been Australia’s lead in their bowling attack and she currently ranks at the top of T20 Women’s Bowling cricket rankings. When it comes to all-rounders it is the West Indies women who have dominated this area with Hayley Matthews leading from the front.